You may have a walk-in closet – HAH! 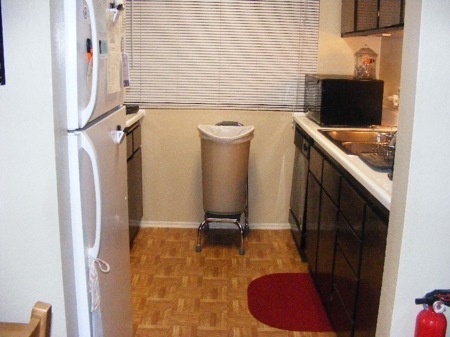 I have a walk-in pantry! Oh joy and rapture! A true luxury if there ever was one! 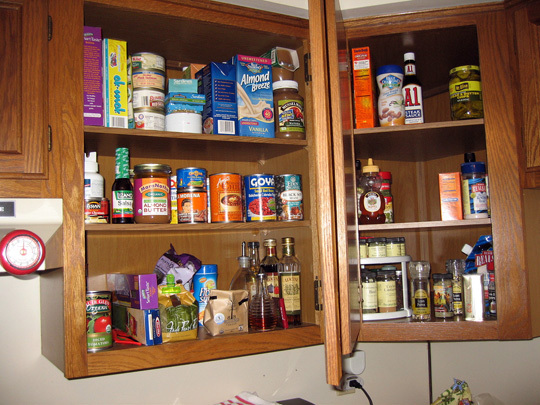 Anything you can do in your closet, I can do in my pantry; store everything, view everything, keep things in good shape, make better use of what is in there, coordinate items, take inventory, change clothes . . . well, I could if I wanted to, I just don’t don’t WANT to! 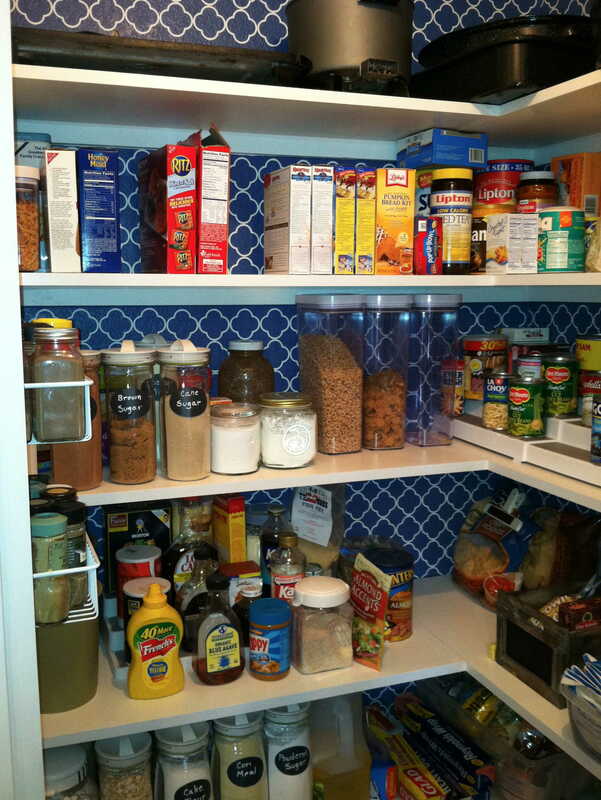 I’ve never had such a pantry before and hope to never be without one again. 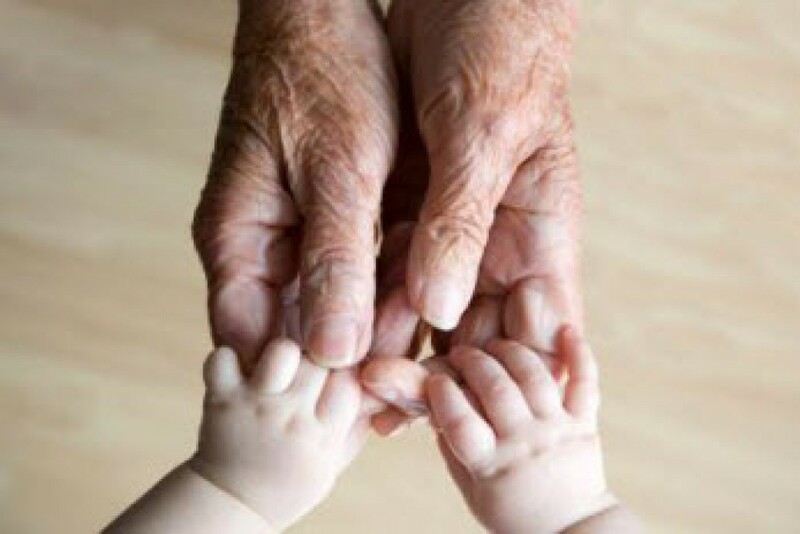 When Gramps and I were first married, we lived in military base housing, which had no walk-in anything. It was your basic primitive cinderblock structure that was painted a horrid green each time a new family moved in. Heaven knows how many layers of that disgusting color were already there when one more coat was added for our arrival. It seems the previous tenant had wallpapered the kitchen (trying to add some pleasing ambience, I would imagine) and some of the paper was peeling back in one corner. No matter, the whole place was painted the lovely green, including the wallpaper and the little curled peeling piece. It remained frozen in space; a perfect small green curled sculpture for the entire year we lived there! Anyway, in those years, we had no thoughts of any sort of pantry, walk-in or otherwise. 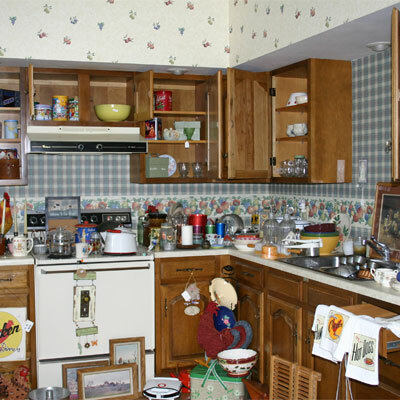 We put everything in the cupboards; dishes, pots, food stuffs, paper goods; everything. And it fit!!! After the military, we lived in a couple of apartments. They were so small you practically had to go outside to change your mind, so no pantries there! A pantry was not even a fashionable thing in those days. I guess we didn’t store as much food . . . or we didn’t have as many dishes. Our first house was an older home and had no extra space for anything at all. We built on, remodeled and updated for eight years but still no pantry. Truly, I never missed having one. I did not know then how much I needed one! The last house, we built ourselves; pretty much perfect for us at the time. 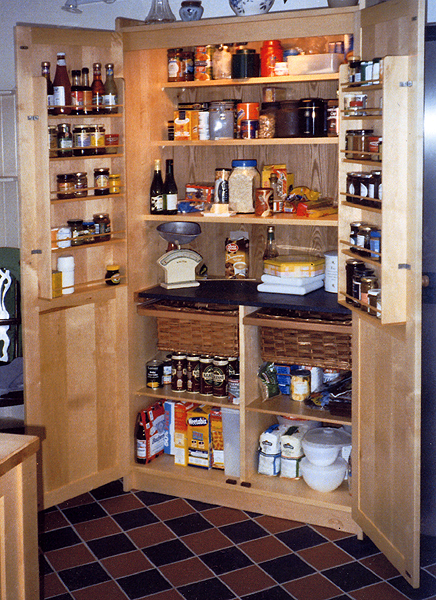 Pantries were coming into vogue, so I had a large floor- to-ceiling cabinet built in. It was a great pantry and served me well for more than 2 decades. But it was not a walk-in. Now we are downsized and guess what? 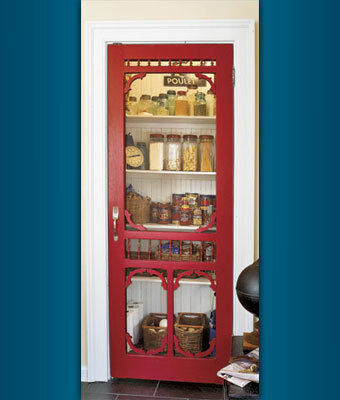 A walk-in pantry!! It is so lovely, I even decided to paint (not green!) and decorate it. When we first moved in, the shelves were 20″ deep, which is way too deep for proper use. I had them resized at 11″ for the uppers and 14″ for the lowers. Now I can reach all the corners, the backs and the floor space. What a treat! Next I painted the back walls a dark blue and the shelves and trim a crispy clean white; then added a quatrefoil design to the walls. See how pretty it all looks?! I think of it as a whole room with its own color scheme and design. 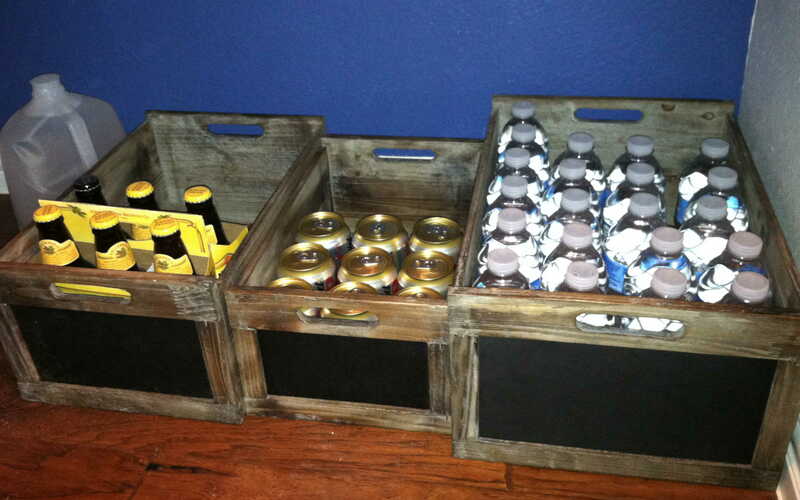 On the floor, I have several cases, that remind me of an old fashioned store, filled with beverages of various types. As soon as I find my chalk pen, I will label them “water”, “cola” and “beer”. 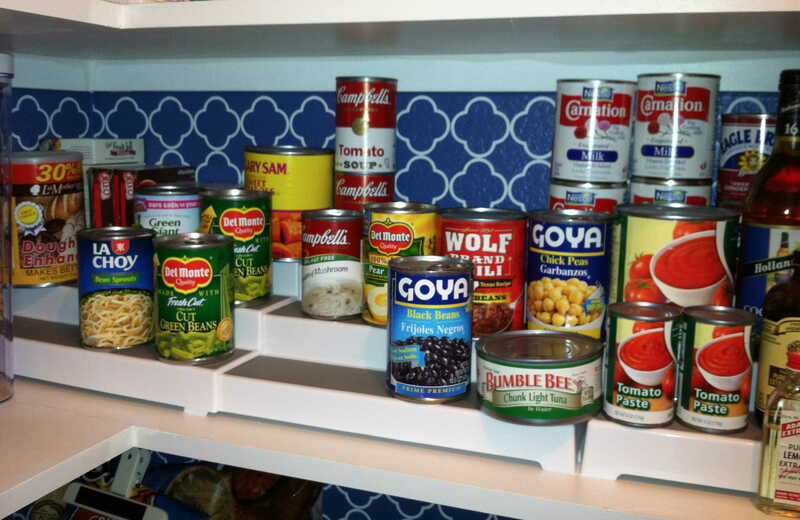 Putting all the cans on risers makes them much more accessible and visible. 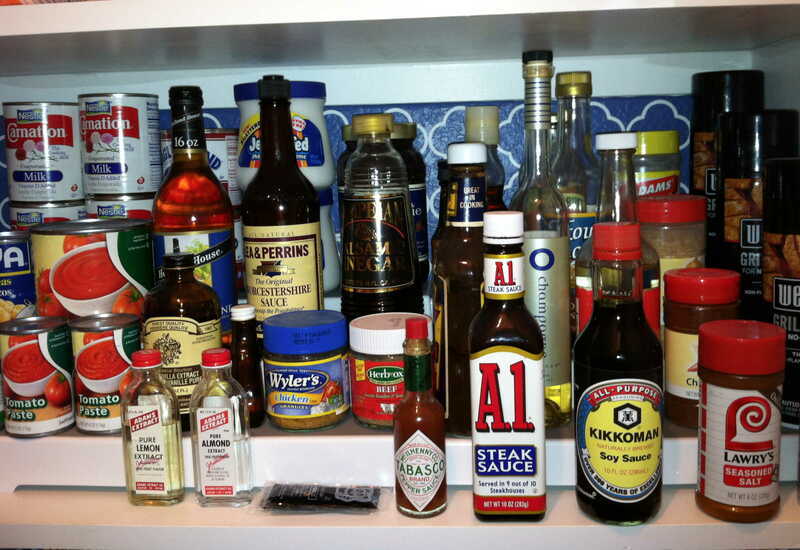 I did the same with the sauces and vinegars, etc. Condiments on risers also. It makes everything look so neat! All my flours, oils etc. 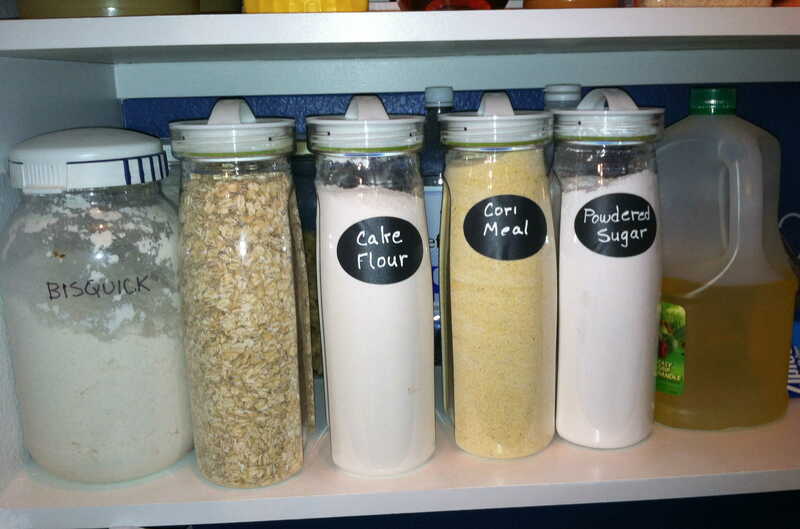 on one shelf; handy and visible in wonderful containers with chalkboard labels. Does it get any better? 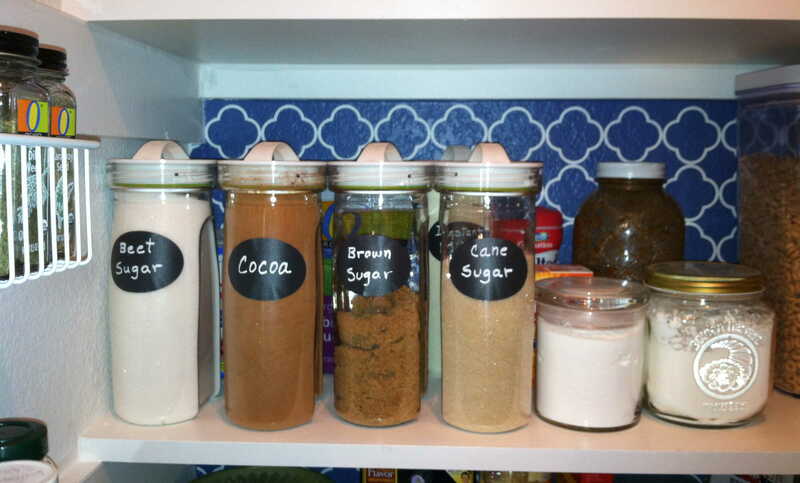 Hers’s all my sugars and next to them the cereals (sorry, out of picture). Again, very neat and tidy,the way I wish my closet looked! 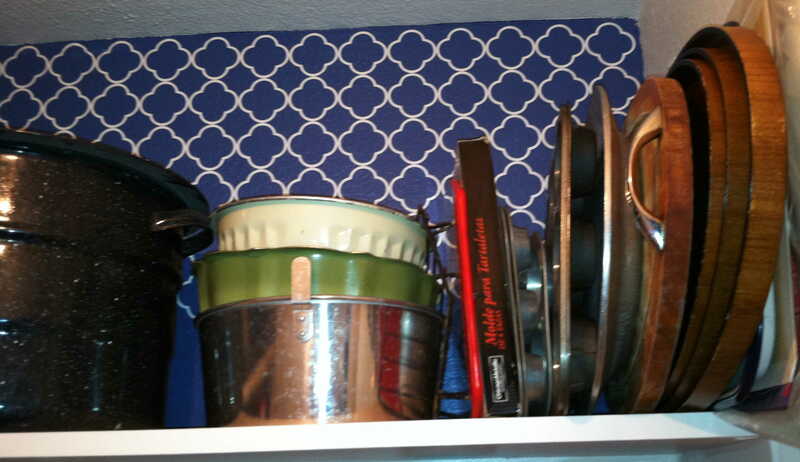 On the top shelf are the cookie sheets, seldom used things, and big things. Love it! On the wall are the spices. 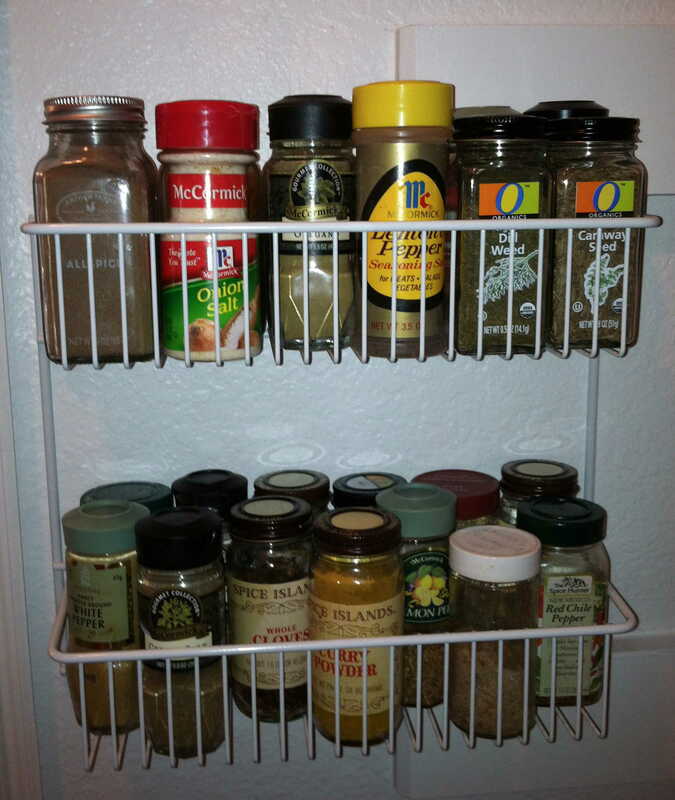 I’m going to add another rack because I still have some spices that didn’t fit in. I have several things still to do to finish this room; this pantry; this wondrous addition to my life. I’m going to add a plastic bag holder, but not just any plastic bag holder. I’m going to use a pair of toddler size overalls hung on the wall. I’ve seen this done by a friend of mine and it is too too cute. The bags can be stuffed in the top of the overalls and pulled out from the bottom of the legs. Can you see it in your mind? Also I want to replace the door with a screen door, something like this. Won’t that be spectacular?! Of course, mine will be blue, like everything in my house! This entry was posted in In the Village and tagged food, happiness, home, storage, walk-in pantry by The Village Granny. Bookmark the permalink. I know! There are so wonderful!